An initiative wending its way through the New York State Public Service Commission could have a big impact on the relationship between energy managers and their buildings on one side and utilities on the other. 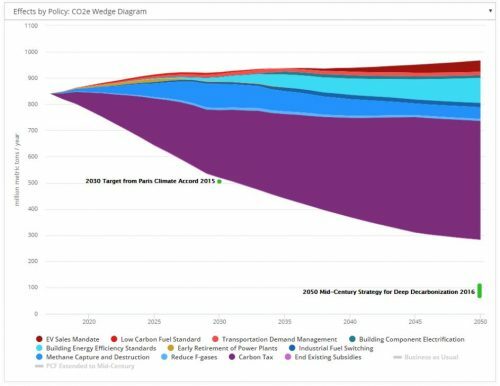 Last week, a mandated report entitled “Energy Efficiency Metrics and Targets Options Report,” which was written by the Clean Energy Advisory Council, was released. The report draws heavily on work by Energy Innovation, a think tank based in San Francisco. Hal Harvey has been a champion for low-carbon solutions, and a rare optimistic voice about our ability to tackle climate change. We asked Harvey where he gets his optimism, what the United States and China can learn from each other when it comes to reducing energy use and emissions, and what he’s learned from being a juror for the Paulson Prize since 2013. Sonia Aggarwal, Director of Strategy at Energy Innovation who leads the firm’s work on transformation of the energy sector and energy policy solutions, recently shared some of her thoughts on performance-based utility regulation with Midwest Energy News. California will now be the nation’s example for reducing climate change after Governor Jerry Brown signed sweeping legislation yesterday. AirTalk spoke with Sacramento Bee reporter David Siders, environmental policy analyst Chris Busch, and local business advocate Louis Baglietto about what the California’s new climate change law means and what you need to know about it. California will become a petri dish for international efforts to slow global warming under legislation signed by Gov. Jerry Brown on Thursday, forcing one of the world’s largest economies to squeeze into a dramatically smaller carbon footprint. The legislation, SB 32, requires the state to slash greenhouse gas emissions to 40% below 1990 levels by 2030. Britain Pioneered Performance-Based Utility Regulation. How Has It Worked Thus Far? British utility regulators are in the midst of a major change as they seek to spur £32 billion of upgrades to the country’s aging distribution networks by decade’s end. To achieve its goals, the government’s utility regulator, Ofgem, has put the responsibility squarely on the utilities, which need to develop robust business plans informed by engagement with their customers. Following more than a year of legislative toing and froing, California’s leaders agreed this week on how ambitious the state will be in the fight against climate change after 2020. The legislation will require Californian agencies take steps needed to reduce greenhouse gas pollution by 40 percent in 2030, compared with 1990 levels. The EPA and the U.S. Transportation Department on Tuesday issued regulations that require trucks become more efficient through 2027. The final rules achieve 10 percent more carbon emission and fuel-consumption reductions than last year’s proposed rules, likely raising the price tag price for such vehicles but cutting operating costs.